Store BLOG of Shadows: Visit by author Christopher Penczak for Melange's 20th Birthday! Visit by author Christopher Penczak for Melange's 20th Birthday! Author Christopher Penczak is coming into Melange this weekend to celebrate our 20th Anniversary! 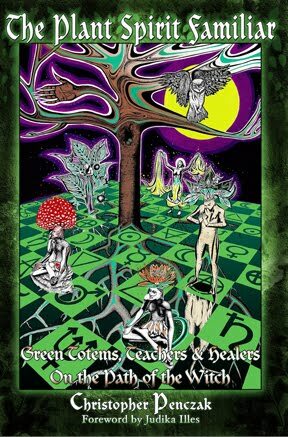 Come join us and him for tarot readings, book signings and a workshop based on his new book The Plant Spirit Familiar:Green Totems, Teacher and Healers on the Path of the Witch. $35 per half hour or $70 per hour throughout the weekend. Books available or bring your own! Many witches, magicians and shamans work with the concept of the animal familiar, the totem or fetch beast, but many are also allied with spirits from the plant world. The spirits of herbs, flowers and trees can act as divine guides, protectors and tutors in magick, healing and transforming the witch. Each one has its own spiritual medicine, that is in harmony with magickal work and purpose in the world. Survey many of the traditional plant allies of the witch, including the spirits of Nightshade, Monkshood, Thorn Apple, Mandrake, Oak, Apple, Hazel, Birch, Rose, Mugwort, Wormwood, and Angelica. Learn how to find your own plant familiar frim the green world, and develop a strong connection. Based upon Christopher's new book, The Plant Spirit Familiar. Christopher's new book is available at Melange already, so come by to pick yours up before the workshop!